Ragi aka Finger Millet is one of the best natural protein sources, and it is rich in amino acids, Calcium and Iron. Whole wheat flour aids in weight loss, reduces risk of metabolic syndrome, lowers diabetes risk, helps prevent gall bladder stones and promotes gastro intestinal health. 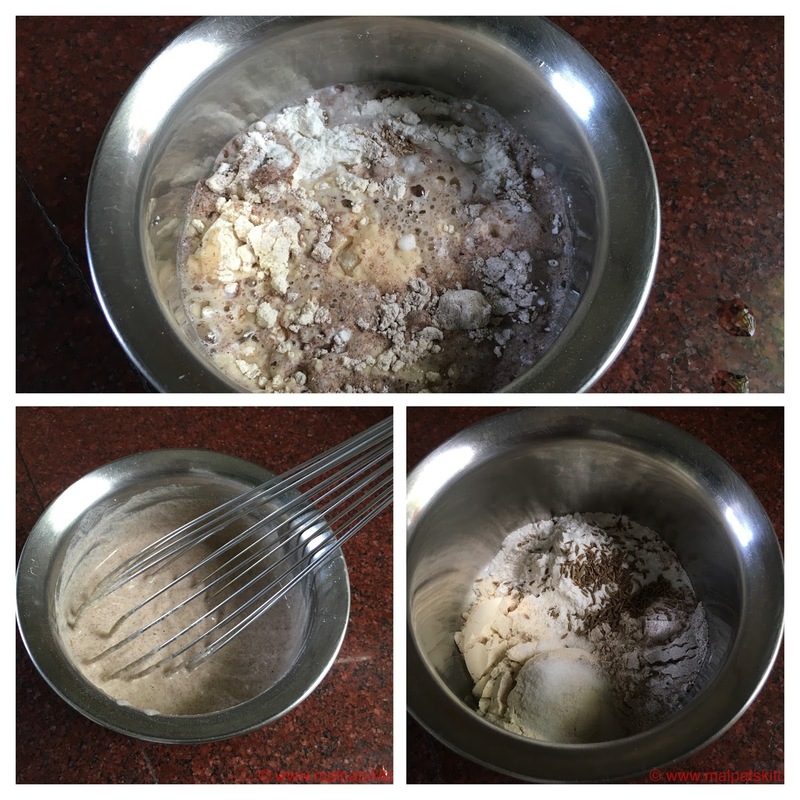 To these two nutritious flours, some rice flour has been added, and people will ask you whether it is Rava Dosa. All three flours measured, salt and jeera added. Add enough water to make it a thin batter, whisk well to avoid lumps. 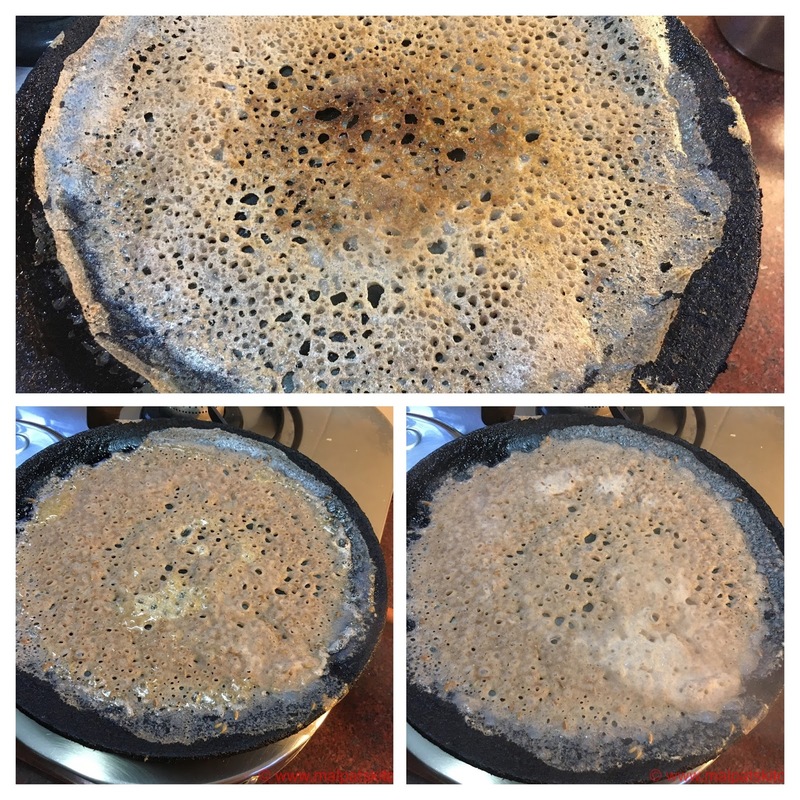 It is good for the batter to rest for 1-2 hours before you make the dosas. 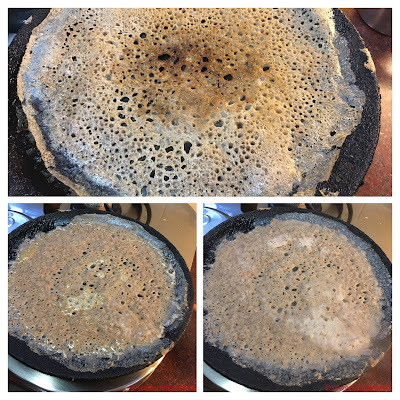 Keep on high flame for the first 2 minutes, pour oil around the dosa, then on medium flame, and finally when the dosa is flipped over, keep the flames on the lowest. There is actually no need for any oil. Serve the crisp, paper thin, hot dosa with chutney or sambar of your choice. I have served with Puli keerai. * Onions can be chopped fine, first sprinkled on the hot tawa, then the dosa batter is to be poured. This increases the flavor of the dosas.